London is a great city for teenagers with lots to do and bucket loads of history. These 12 cool things to do in London for teens will keep everyone happy without being too young, too boring, but still being loads of fun. In this list of places to go in London with teenagers I’ve tried to include interesting things you can’t get anywhere else in the world. Why go all the way to London to go and do what you do back home? 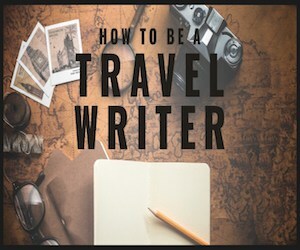 Of course you can still do ice skating, watch films and go to theme parks in London but we’re looking at specifically British things to do and see! A word about keeping costs down in the city. London, like many places can really hurt your wallet but it doesn’t have to. Many museums are free and doing things like low cost walking tours can keep costs down. 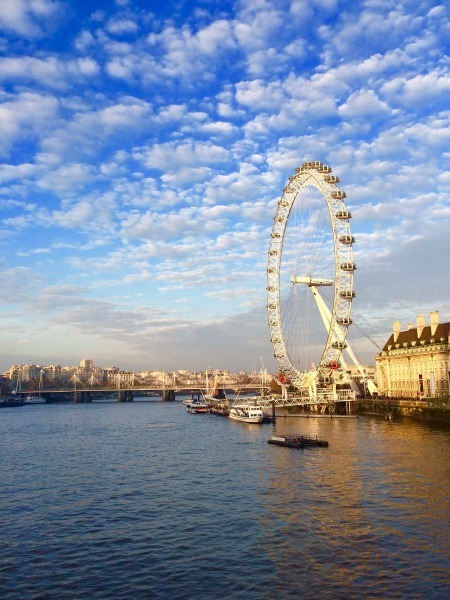 If you have plans to do as many of the attractions in the city as possible then it’s definitely worth looking at the London Pass which covers a huge amounts of things to do and even with the initial outlay will be much cheaper than paying as you go. There’ll be no complaining about being bored that’s for sure! You can see info about it here. I have to include this because if you have teens like my son who are interested in World War 2 or perhaps are studying it, then these pieces of history are a must see. Churchill’s cabinet war rooms are underneath the city, near the current Prime Minister’s residence and the place where he orchestrated some of the major campaigns of the war. See more info here. 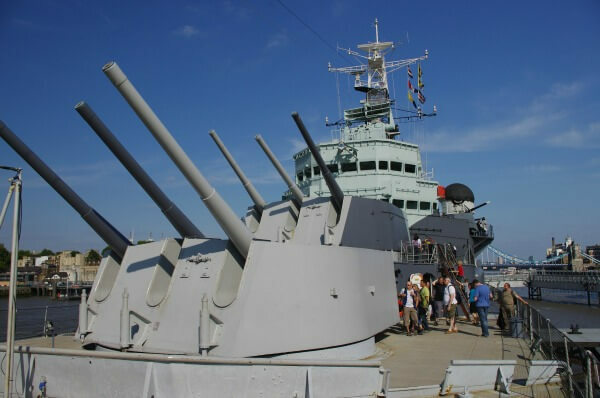 Along the same theme of WW2 is the HMS Belfast which is permanently moored on the River Thames. Go along and find out what life was like at sea when the war was on. Get tickets here. A familiar addition to the London Skyline, the London Eye is a really fun thing to do for all ages. You go inside a capsule and it will take you, slowly, all the way round so you can get a really great view of Big Ben, the houses of parliament, the river Thames and much more. Included in the ticket is entry to a 4D show as well. Check out here to get your tickets in advance. 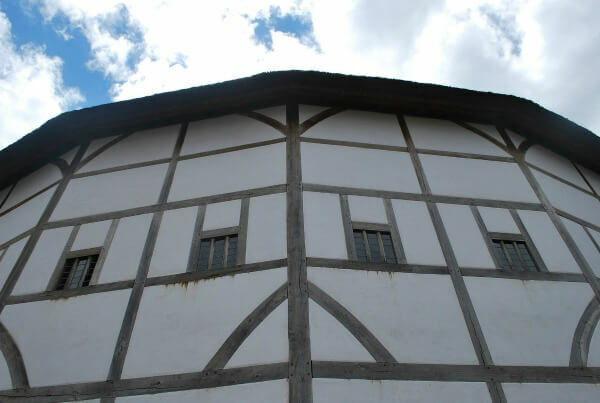 If your teen is studying shakespeare at school or has any interest in drama and plays at all then you’ll want to look out for plays being shown at the Globe Theatre. It is an amazing place to visit – it’s a faithful reconstruction of the original building (and only about 200 metres from the original site) which was built in 1599. Imagine getting to watch a Shakespeare play in the setting in which they were written for! Not only can you watch plays in the Theatre, but you can also go for guided tours like this one. There are many markets in London and many areas to go and shop, but if I ask any teenagers that I know where to go, they’ll answer Camden Market. Camden market is easily reached by tube, being about 10 minutes away on the Northern line and it has a real village vibe to the place. The canal is great to walk around and it’s an amazing place to get street food. If you have teenagers like me you’ll know to go where great food is! 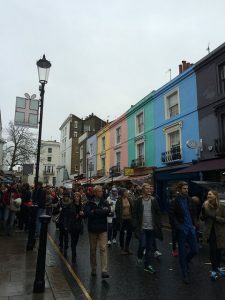 Also check out Portobello Road Market (pictured), Covent Garden and Oxford Street for more shopping. Leicester Square in London is where many of the London film premieres happen. If you’re in the city when one is taking place why not go down and see if you can meet the stars of the film and get an autograph? Remember to take plenty of food and drink and also an umbrella! 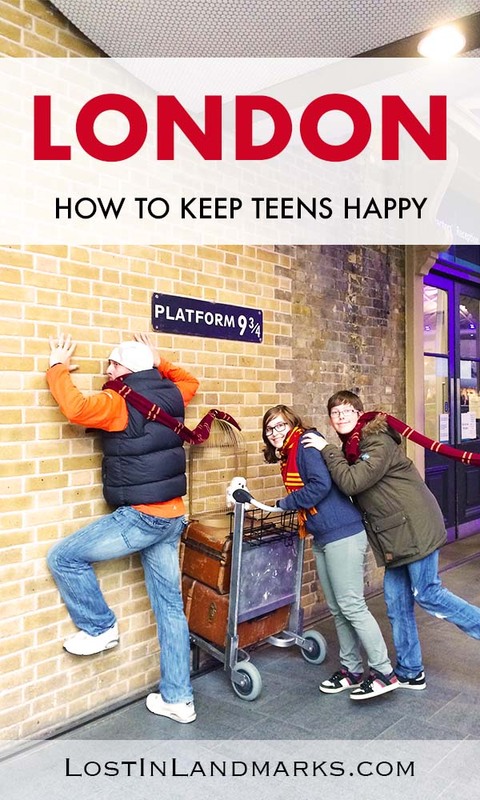 If you have any Harry Potter fans travelling with you, no matter whether kids, tweens, teens or older, then you’ll love London. There are lots and lots of places you can visit that scenes from the film are based on etc, but the iconic platform 9 and 3/4 at Kings Cross station is a must visit. Sound like something that doesn’t exist? It certainly does! I imagine due to popular demand, or just too many people wandering around trying to see if it was really there, Kings Cross Station created the gateway to the platform. You can get your picture taken with the trolley as you head onto it as well! Ok, it’s not quite real, but I think it’s a really awesome little free attraction in London. There’s no charge to have a go at trying to get to the other side, but there is a professional photographer there. No hard sell and you’re free to take your own pictures too and if you do buy the image, it’s not overly expensive either. You pick it up from the Harry Potter shop next door – it’s only small but does have some nice bits in there. 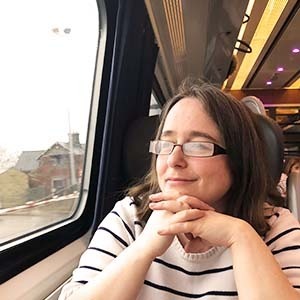 Read more – If you’re planning a visit to the Harry Potter Film studios then check out what we thought of it here. We all love learning about the past of the areas that we travel to and the London Dungeons is great for indulging in that! You can learn about all sorts of things that happened in London, with a bit of a dark and creepy underside to it. It’s an attraction that is suitable for ages 12+ so nothing too babyish here! Prices vary but are best if you book online. London’s theatre scene is buzzing and there’s some amazing shows going on at all times. Right now I’ve heard amazing things about the adaptation of the Roald Dahl book Matilda, Lion King and also Wicked, which I think would be great choices for teens but there are many different shows that could suit. For discounted tickets and great deals check out Theatre Tickets Direct. A cable car ride that takes you from North Greenwich to the Royal Docks is a really fun addition to the day, especially if you’re visiting Greenwich (see below), to get a brilliant view of the city. You’ll see the O2 arena, the business district of Canary Wharf and much more. Tickets are reasonable at £3.50 for an adult and £1.70 for a child and you can use your Oyster card to pay for it too. Greenwich is a familiar name to many because of the phrase Greenwich Meant Time (GMT). It’s the place where all time is measured from at 0 degrees longitude and the divide between the Eastern and Western hemisphere. Greenwich is a lovely part of London, a little out of the centre but easy enough on the tube or DLR (docklands light railway). If you take the DLR will also take you past Canary Wharf – the financial district of London. 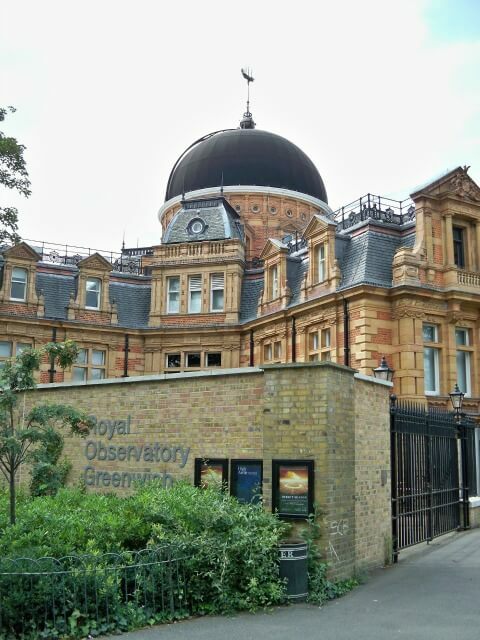 Once there there’s a lovely park which is great for a picnic, the Royal Observatory, where you can see the ‘Prime Meridian Line’ up close and get your photo taken, and also the Maritime museum (free) to really make a long day of it. The Cutty Sark is also a big draw and interesting for any teens with a love of history. It was also where the end scenes in the second Thor movie were filmed so a good one for Marvel movie buffs! 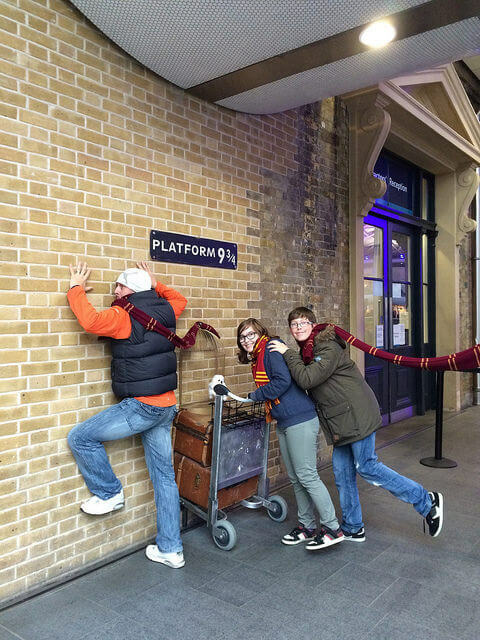 From Harry Potter walking tours, to film location tours there’s bound to be something to interest your teens. Maybe a tour to see Baker Street and the history of Sherlock? Or maybe they’re interested in the Royals of the UK? Finally, London is teeming with museums and they are an excellent place to visit in London, especially if the weather isn’t looking too great. If you are new to the UK then the Museum of London has got to be worth a visit to learn lots about this capital city. 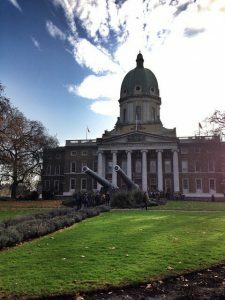 Others worthy of mention are the Natural History Museum, the Imperial War Museum (pictured) and the British Museum. Amazing specimens in all of them. Depending on what your teen is interested in there’s bound to be something they’ll enjoy to while away a rainy afternoon. Did I mention that most museums in London are free? Read more – Here’s our guide to the best FREE London museums with kids and our approved by our teens! Football stadium tours – mine aren’t sporty at all but for teens who are this would be great! And some interesting family orientated tours here of all kinds! Budget family accommodation in London – how to find the best deals! London is my city! It’s where my heart is. We love all these things, but the FREE stuff is the best. Anyway, gotta dash, off to London Zoo today, best zoo in the world, does such an amazing job in global conservation. The kids have probably been 100 times, never gets old. Cheers! I’m always amazed at just how much there is to do in London that is free – it’s really an amazing city! And with my eldest being 16 soon I need to find these things out – all of a sudden he’s an adult for most entry charges!! !